California prosecutors are unlikely to drop domestic violence charges even if an alleged victim recants his or her testimony before trial. Instead, the State is likely to persist in its prosecution, with the help of unique evidentiary rules that apply to domestic violence cases. If you have been charged with a domestic violence offense in California like penal code 273.5 pc, it helps to understand the unique political history that influenced the development of this area of criminal law. In the 1990s, the California legislature re-examined its domestic violence prosecutions following the highly publicized O.J. Simpson trial. O.J. Simpson was arrested and charged with the murder of his wife, Nicole Brown-Simpson, and her friend, Ronald Goldman. After Simpson’s acquittal, legislators took a close look at the particular history of domestic violence involving the Simpsons. Simpson had been arrested five years before the murder on spousal battery charges and Nicole had called police to report battery on eight previous occasions. The police took no action in these cases. When Simpson was finally arrested, he was fined $500 and was required to receive counseling over the phone. 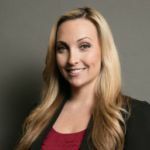 Finding the system’s response inadequate in this case and others, legislators undertook broad reforms, which substantially changed the criminal justice system as it relates to the prosecution of domestic violence offenses. Police officers in California now receive training on the state’s domestic violence laws. They are required to report all instances of domestic violence involving physical acts, and they are officially encouraged to make arrests in cases involving domestic violence allegations. Once charged, domestic violence cases are often assigned to special units within the district attorney’s office with prosecutors who are specially trained to handle these cases. Unlike many criminal cases, domestic violence charges are “vertically prosecuted” within these specialized units. This means that the same prosecutor tends to handle the case throughout the process, from intake to sentencing. The purpose of vertical prosecution is to allow the prosecutor to develop a relationship of trust with the alleged victim. However, despite these enhanced prosecutorial methods, domestic violence cases remain very difficult cases for prosecutors. 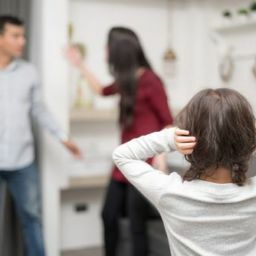 Frequently, these charges arise from heated, emotional encounters involving mutually combative intimate partners, and it can be difficult to discern the truth from the he said/ she said accusations that result. Often, as the case progresses and emotions settle down, victims become uncooperative with prosecutors and wish to “drop” the charges. However most prosecutors have a “no drop” policy for domestic violence cases. The prosecutors will use special provisions of California law, which enable them to go forward with their case, even with an uncooperative victim/witness. For example, the California Evidence Code permits prosecutors to admit otherwise inadmissible evidence in domestic violence trials, such as prior statements made by the victim, if the statements meet certain standards and are approved by the judge. 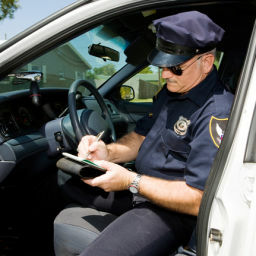 In addition, the prosecutor may be able to introduce evidence of the defendant’s prior domestic violence convictions or even prior allegations of domestic violence, if the evidence of the prior offense was fairly recent and supported by sufficient evidence, and if the evidence is not unduly prejudicial. Domestic Violence prosecutors will often use the testimony of “experts” in the field of domestic battery situations. These experts testify to the idea that in domestic violence cases, often times the violence reported in our case is escalated from previous acts of violence between the couple. The notion of the “cycle of violence” is that these behaviors are repeated and escalate as the relationship progresses and even if not documented, often exist in toxic and abusive relationships. Recanting victims are a large part of the “cycle of violence” in that they forgive their abuser as time goes on and learn to live in these violent relationships. Prosecutors rely on this testimony to explain why a domestic violence victim would testify in favor of his or her alleged abuser and try to sabotage the prosecution’s case against the defendant. Not every relationship scrutinized in a domestic violence case is in fact an abusive one. It is the job of the defense attorney to differentiate the relationship in the instant case to distinguish it from a textbook case. Relationships are complicated and often times these complications may result in heated emotions and exaggerated recounts to the arresting officer of the events that transpired between the parties. Some alleged victims of domestic violence have other motives and may be using the system to gain advantage in the family or immigration courts by making untrue accusations of violence. Bringing these facts to light is essential in combating the testimony of prosecution experts by demonstrating to the jury that the theory of the “cycle of violence” is inapplicable and irrelevant to the case they are tasked with deciding.